The beach/messy waves look will be forever my favourite. Love trying out products which will help me achieve beachy waves. My hair are naturally wavy, but very frizzy. At first I had love and hate relationship with this products, I felt like it made my hair look really bad and sticky, so I stopped using it. Since summer I can't get enough of this product. I just love using it, when I'm to lazy to actually style my hair. Normally I would spray this on dry hair and then I would scrunch my hair. This won't leave you hair feeling sticky, but if you apply to much you will end up with sticky hair. The Sea Salt spray is also a good way to add some texture to your hair. You should also try to avoid using this near your roots, as this will irritate your scalps. 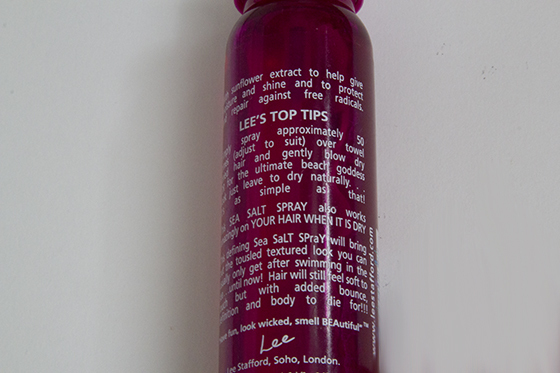 As it's sea salt spray it will make your hair a lot drier, so I wouldn't recommend to use it on daily basic. Overall I do like this products, but I find the scent slightly to sweet for my liking. I know that there are more Sea Salts sprays on the market now, so I will definitely try out different brands one. Can you recommend me any? 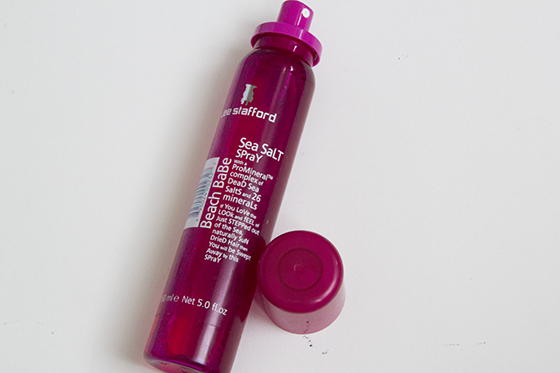 I love sea salt sprays for the occasional day when my hair is a bit flat and dull looking!